The alleged grandson of Charles Manson said he is planning to head to California to claim his grandfather’s remains. Jason Freeman, 41, told SFGate, the home of the San Francisco Chronicle newspaper, that he wants to get Manson’s remains cremated in California before they’re brought back with him to Florida. 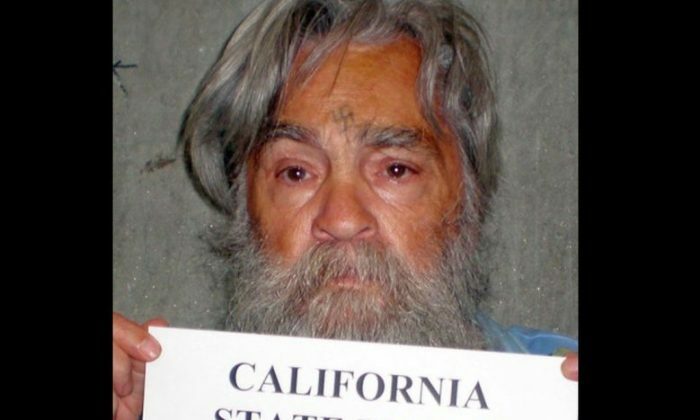 Manson, 83, died of natural causes on Sunday in Bakersfield, California. He was incarcerated in a nearby state prison since the early 1970s. Manson was convicted for ordering a killing spree in August of 1969. Several of his followers were also convicted. California law says that a dead prisoner’s relatives have 10 days to claim the body, and if no one comes forward to claim it, the state hires an undertaker to handle the remains. Freeman said that he plans to fly to California before the 10-day period is up. When he gets there, Freeman wants to collect some of Manson’s things, including crayon artwork. Freeman says he’s the son of Charles Manson Jr., who changed his name to Jay White and died in 1993.